Review: Simon is a fine art auctioneer, who gets mixed up with a group of criminals. He suffers a blow to the head. The leader of the gang hires a hypnotherapist to recover a lost painting. 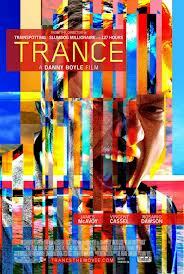 Brilliant work from Danny Boyle. What a great start for him after the opening ceremony from the Olympics. Well directed and I thought the script was really good. It was really unusual. The music was brilliant and James McAvoy’s performance was incredible. Great to see such a fantastic film. It had you on the edge of your seat all the way through. Not for one moment did you know what was going to happen next. I also liked the fact that as soon as the film started you were straight in there and there was no messing around.